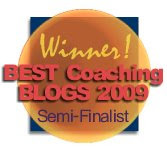 Self Help Goddess Blog: Are You Ready for Success? 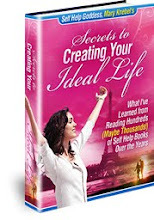 I read a TON of books on creating your ideal life and manifesting your desires. In fact, that’s the whole reason I started my website, so I could track down the best resources to help myself and others create our ideal lives! There comes a time, though, when you’ve got to stop just dreaming about making things happen and actually start taking action. Many of us fantasize about creating change in our lives and improving our circumstances, but are you really ready for success? One of my biggest pet peeves is people who constantly complain about the way things are going in their life, but never take action or do anything about it. Trust me, things aren’t just going to fall from the sky! 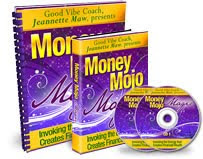 There is, however, a tool you can use to speed up your manifestations and increase the chances of success happening in your life. That tool is preparing for your success, even before it gets here. By preparing yourself in advance for what you want to happen, you are sending a signal to both yourself and the Universe that you are ready for changes in your life and that you are confident they are on their way. This actually paves the way for good things to happen and increases their likelihood of showing up. Rather than just going through life haphazardly and hoping you achieve what you want, you can actually plan for your success and increase the odds of it happening. Sometimes just taking little action steps in advance opens the door for bigger things to come your way. I’ve read in several books on relationships that if you’re single and want to attract a new relationship, you should clean out your closet and empty drawers in order to make space for a partner in your home. Feng Shui experts tell you to make sure you have a night stand on both sides of your bed, not just your side of the bed. These actions may seem strange if you don’t currently have a significant other, but by taking these actions you are increasing the chances that a partner will soon show up. This is because you are taking concrete action to express your commitment to having a new relationship in your life. If you’re hoping to attract a new job, do you have a suit all ready to wear when you land an interview for your dream job? Is it dry-cleaned and at the front of your closet, so you can easily access it when the time comes for your interview? I remember a few years back I was in a job that I didn’t particularly care for. I knew that eventually I wanted to start looking for a new job, but I wasn’t quite ready to start reading job openings and sending out my resume. One day, however, I was shopping for clothes and came across a really nice suit that was perfect for interviews. I knew I didn’t plan to go on interviews for a few months and I already had a suit at home I could wear, but I decided to go ahead and purchase the suit anyway in order to pave the way for upcoming interviews. Not long after, I quit my job that I didn’t like and started applying for new jobs. Right away I was called for two interviews, and of course I wore my new suit. I received offers for both positions, and the job I ended up taking was actually offered to me on the spot! I only started my website a few months ago, but it’s already taken off much faster than I ever imagined it would! I didn’t expect to have so many newsletter subscribers so soon, or to have so many people reading my blog (thank you!!). Recently I’ve put some time management systems in place to better prepare for the future, so I can keep up with regularly publishing my newsletter and posting to this blog. The key is to prepare for your success now as if it is already a given, rather than waiting to see if your success arrives and dealing with it then. Not only do you increase your chances of success by preparing for it beforehand, but you insure that you’ll be equipped to handle it if and when it does arrive! I have a friend who is self-publishing a book and was only going to print 100 copies or so and see how that went. I told her she would be better printing off more than that, because 100 copies goes fast once you factor in all your family and friends who will buy copies. She shouldn’t publish more than she can afford, but I told her to stretch herself a little further than she normally would and plan to sell 200 books instead of 100! Take a look at your list of goals and see if there are concrete ways you can prepare for your success now. If you’re hoping to attract more money, do you have bank accounts and financial advisors in place to help you deal with your money? If you’re hoping to lose a significant amount of weight, do you have a few clothing items you will be able to wear when you drop the weight without having to go shopping? By taking steps and putting these things into place now, you are sending a strong signal to both yourself and the world around you that you are indeed ready for success. Once you do that, your success is virtually guaranteed! This was the perfect post for me to read right now. Thank you! What a lot of people don't realize that what you described IS the LAST STEP in applying the law of attraction into your life. Its part of the receiving part .. or faking it until your making it. As a side note, not only are people not willing to do what it takes to achieve the success that they want. I think a lot of people are struggling to handle success or the possibility of success when it is in hands reach. Well that is something that I think I personally have to deal with. Great article babe, did I tell you I love this blog? hmmmm maybe I would have already mentioned that several hundreds of times. Actually, my next post is going to be about the law of attraction, so stay tuned!